If you provide Horse Massage & Equine Therapies Services you have an unusual and moderate liability exposure that is not easily or well insured by many insurance companies. As a trained, paid professional, your services are a commercial and professional liability exposure that is not insured under your Homeowner’s or Farm Owner’s Insurance Policy. This activity is defined as the insured’s fee service of providing low-impact therapeutic massage and / or other types of alternative therapies on horses. The provider is not usually a licensed veterinarian or chiropractor, but is a technician trained and certified in one or more therapy methods. The technician usually goes to the horse where it is stabled, thereby providing the services away from their business location. The technician may also keep horses at their premises where they can do more frequent therapy sessions. The need for such services usually relates to conditions involving muscle pain (as opposed to joint pain conditions), which may benefit from moderate therapy applications. Alternative therapies may include: Horse Massage and Body Work of various theories and techniques, Acupressure Ultrasound, Aqua (moving water) Therapy, Light Therapy, Magnetic Therapy, Electrical Stimulation, and Dry or Wet Heat and Cold Applications. As a commercial services provider, you may worry that you could be sued or otherwise have a claim made against you for bodily injury or property damage by a customer or someone else who comes in contact with you or the property that is part of your commercial horse operations. If sued, you will need to hire a lawyer to defend you and you wonder how you would go about doing this. If found negligent or responsible, you would likely have to pay for either a court-ordered or agreed-upon settlement to the injured party. Fortunately, much concern can be relieved when you buy a Commercial General Liability Policy [GL] to insure massage and therapy activities. There is a concern over incidents of bodily injury to by-standers and the horse handler while the technician is working on the horse. Commercial General Liability Insurance protects you from financial loss should a third party become injured [Bodily Injury] or their property is damaged [Property Damage] in relation to your operations, and they make a claim or file a lawsuit against you for damages. The greatest liability concern for the horse therapy provider is the potential for a claim due to injury to the horse while being treated by you, either through an accident of handling, or because of improperly applied treatment. Care, Custody & Control Liability Insurance is added by endorsement to insure you against financial loss if a non-owned horse in your treatment, care, or control becomes sick, injured or dies and the owner attempts to hold you responsible for financial loss to them because of your negligence. Note that other Insurers may not provide this coverage without being asked, and if available, it may be provided under a separate policy. If you board, handle or care for horses owned by others, be sure to ask about this coverage and choose the limits that are right for you. Our applications ask about this coverage and if you complete that section, a quote for this optional coverage will be provided to you. The Insured technician also has a Professional Liability exposure. Therefore, under the NAHA liability insurance program Professional Liability Insurance is added to the general liability policy by endorsement for the professional technician and their paid assistants. 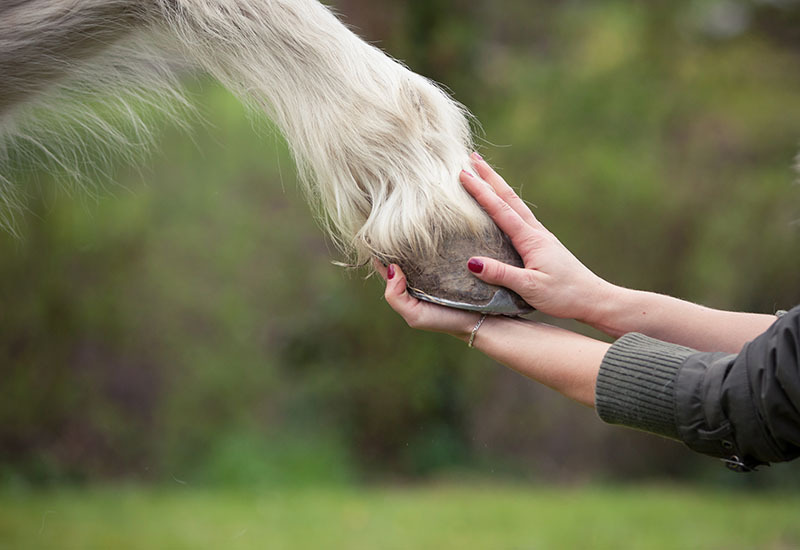 How Risky is Horse Massage & Equine Alternative Therapy Services? Moderate. Because these therapies are highly specialized, low impact and non-invasive, exposure is considered moderate. Settlement or Claim Costs: For bodily injury and property damages for which you are responsible and held responsible. 1. There is a loss of control of the horse during therapy and it injures a bystander or causes damage to property. 2. The Insured technician is accused of providing improper treatment, which causes further injury to the horse, thereby reducing its value and usefulness.